We were the first group to identify a mechanism by which GABA may act as a signal in plants (in collaboration with the Tyerman lab, Nature Communications). We are now exploring how GABA-gated anion channels can regulate stress tolerance and productivity. GABA is best known as a neurotransmitter helping animals to walk, talk, think and breath. 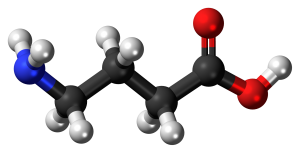 However, GABA is also known in the plant world as a key carbon:nitrogen metabolite that increases in concentration massively in plant tissues in response to stress – so when plants encounter drought, salinity, acid soils, anoxia, pathogens or extreme temperatures. Also GABA can affect plant growth or guide pollen tubes through female tissue affecting fertilisation and seed set. This led to much speculation over the last 15 years or so that GABA might be a signal in plants. However, as no similar proteins to GABA receptors in animals exist in plants but there was no mechanism described by which this could occur. Our work in Nature Communications shows that GABA may indeed be a signal in plants. 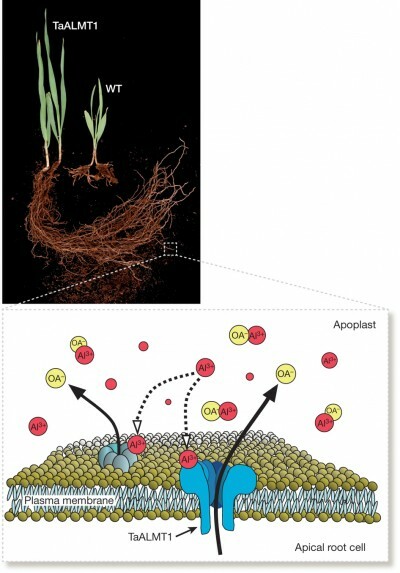 Interestingly, it can also affect electrical signals in plants – so is similar to its mode of action in animals – but it acts through very different proteins. The proteins that are regulated by GABA in plants are anion channels so have a similar functional property to GABA receptors in animals, however, they are very different looking proteins that share little similarity in structure. Interestingly, these proteins are widespread in plants and are already known to have key physiological roles. The fact that GABA can modify their activity means that we have come closer to understanding how plants interpret their environment i.e. how plants transduce environmental signals into changes in growth. By identifying this in plants we believe we have opened up the doors to a new research areas that could be exploited to improve plant responses to stress. Read more in the recent commentary in Nature Plants article on our work or the Nature Comms paper.